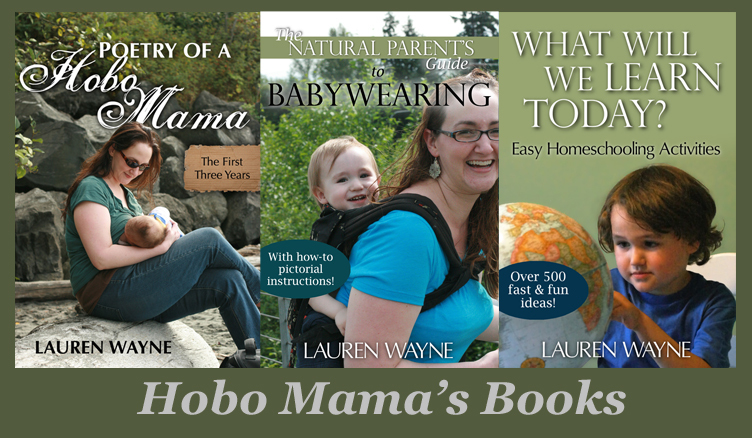 Hobo Mama Reviews: Don't miss this wellness and recipe ebook bundle sale: $39 for $479 worth of real food & natural healing books! Don't miss this wellness and recipe ebook bundle sale: $39 for $479 worth of real food & natural healing books! I have an incredible deal to share with you, and it ENDS TOMORROW! But, first, a little about one of the sponsors and what she'll give you in addition to this deal. First, Hybrid Rasta Mama's amazing eBook resource, Cooking With Coconut Oil, is offered as part of this incredible bundle. If you do not already own it, this is the perfect opportunity to add it to your cookbook collection as well as support a lovely bloggy friend of mine in the process. Secondly, if you order through Hybrid Rasta Mama's link, she will be notified and you will receive a SUPER SPECIAL eBook. It will have some amazing recipes that will only be available to those of you who order through her link. No one else will ever have this eBook. Ever. These recipes are all NEW and have not appeared anywhere on her blog or in Cooking With Coconut Oil. All eBooks will be sent via a special download link on January 22, which is a few days after the sale ends. Third, if you order through her link you will automatically be entered to win something pretty special! It involves coconut oil and essential oils. And it isn’t a book. Last but not least, if you refer HER LINK to a friend or family member and they purchase the bundle through her link, tell them to let Hybrid Rasta Mama know in the comments. You will then be entered into yet another drawing to win another something special! Ok – about this incredible deal…. 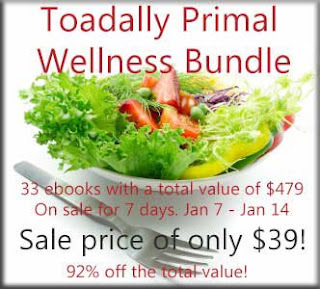 What is the Toadally Primal Wellness Bundle? Sale price of only $39 - 92% off the total value! The sale ends on Monday, January 14 at 11:59 PM EST. Click on the links to the ebooks to learn more about them. Paleo Crock Pot Cookbook is linked to Caveman Feast. Please understand that the PDF you will receive includes 31 crock pot recipes. The PCOS Unlocked: The Manual you will be receiving is 52 pages worth; not the entire guide. Why? It has a specifically unique value and thus $47 selling price. A significant discount code to purchase the rest of the guide is inside. The giveaway ends at the exact same time of the sale. Due to the unique nature of this sale, no refunds will be offered. With the bundle containing 33 ebooks at a cost of 92% of their normal price point, everyone is bound to find immense value well worth $39. So what do you get in this bundle??? Please remember that no refunds will be offered due to the unique nature of this sale. However, if you buy the bundle then you have easy entry into the giveaway. Simply state that you have purchased the bundle via the "leave a blog post comment" option. If you wish to earn extra points for a better chance at winning, then share the giveaway on various social media sites via the rafflecopter widget. Good luck and enjoy the bundle if you choose to invest $39 in YOUR wellness! Disclosure: Some links are affiliate links. Additional 25% off at Tea Collection's big sale! Get indie style at ModCloth!